They can do better than what they are doing. Money worth should come back to the guest being near to Eiffel is not the only goal service should be improved. Location was good, secondly the person at the reception Mr Viky he is an excellent guy , he guided us for our stay and tour around Italy, the room and facilities were very good. It was really a value for money. The price was great, the rooms where comfortable and the staff was friendly and helpful. The hotel is very decent but a bit old. Location is great and very near the Metro. Location is good, near a train station and walk able to Eiffel tower. Lot of restaurants nearby. Staff was friendly. Rooms were size wise big enough. We stayed only for one night and most of the time was spent outside sightseeing. That way the hotel was good. The staff was extremely friendly and always available to answer questions. The breakfast buffet was filling and plentiful and the attendant was very pleasant. Very comfy bed with pure white bedding. Good lighting. Bathroom pristine, looked new. Hotel quiet although in a busy area. 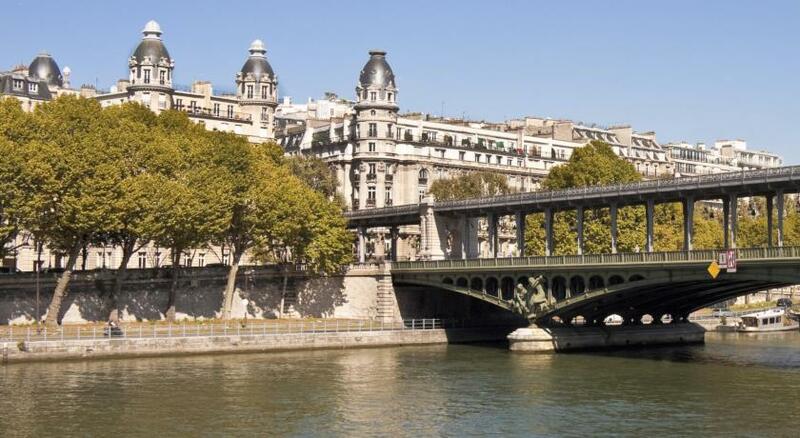 Location of this Hotel is really great.. small hotel but well decorated and well managed..
On the left bank in central Paris, this hotel is a 10-minute walk from the Eiffel Tower and the departure point of the Bateaux Mouches cruise boats. It has a 24-hour front desk and a lounge with a computer and marble floors. The air-conditioned guest rooms include a mini fridge, cable TV and free Wi-Fi access. Each room at the Hotel Beaugrenelle has a bathroom including a hairdryer. A breakfast buffet is served every morning in the spacious breakfast room at the Beaugrenelle Tour Eiffel. Guests can enjoy a drink in the hotel bar and read the newspapers provided. 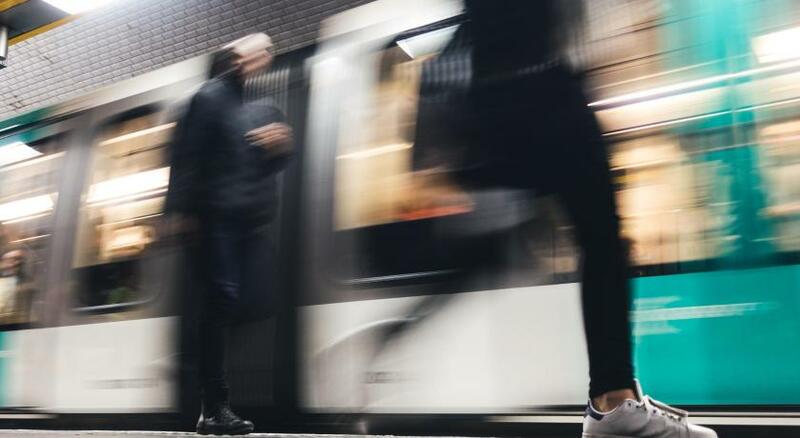 The Dupleix Metro Station is 800 feet away, providing connections to the Arc de Triomphe and the famous Champs Elysées, the Eiffel Tower and Montparnasse Train Station. 15th arr. is a great choice for travelers interested in romance, tourist attractions and ancient landmarks. When would you like to stay at Hotel Beaugrenelle Tour Eiffel? This air-conditioned room includes a TV with cable channels, a sitting area and a mini fridge. There is also a private bathroom with a shower. Hotel surroundings – This neighborhood is a great choice for travelers interested in romance, tourist attractions and ancient landmarks – Check location Great location - show map Guests loved walking around the neighborhood! House Rules Hotel Beaugrenelle Tour Eiffel takes special requests – add in the next step! Hotel Beaugrenelle Tour Eiffel accepts these cards and reserves the right to temporarily hold an amount prior to arrival. The whole property was rather overheated no possibility of cooling bedroom other than opening the window thus letting in the constant noise from the street outside. A common problem in France. Noisy bedrooms when you're on the street side due to traffic passing by, can wake you up in the morning. Good price for what you get. The location was good for where I needed to be, but not in a very good neigherhood. Fairly good breakfast. There was some smell which spoils the stay. There was a guy shouting all the day and night which creates a disturbance of sleep. I don’t get what I expected.. Heating not working with temperature at the City of 8 degrees Celsius. Room and toilet cold. Good location. Nice staff. 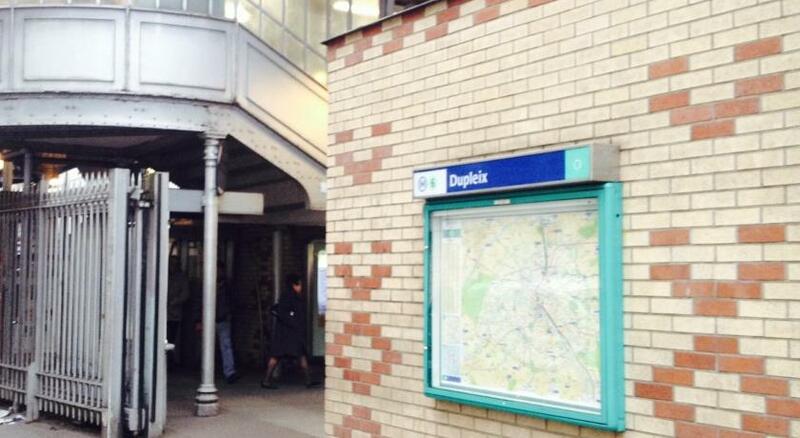 Very close to the metro station Dupleix. Close to Eiffel Tower and Rue du Commerce. We can't had a kettle on our room we didn't drink like tea coffee and there's not allowed to eat takeaway food so it's bit disappointed me otherwise everything is nice.. Happy will rest all..
breakfast area is very uncomfortable. The breakfast is like nothing they should remove the option that they serve breakfast because it is awful. Even the eggs looks like plastic eggs and taste weird.